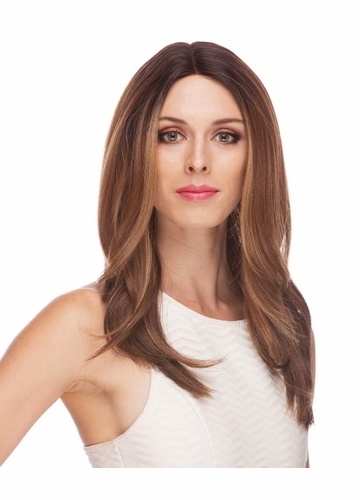 Long layered lace front wig with middle part. 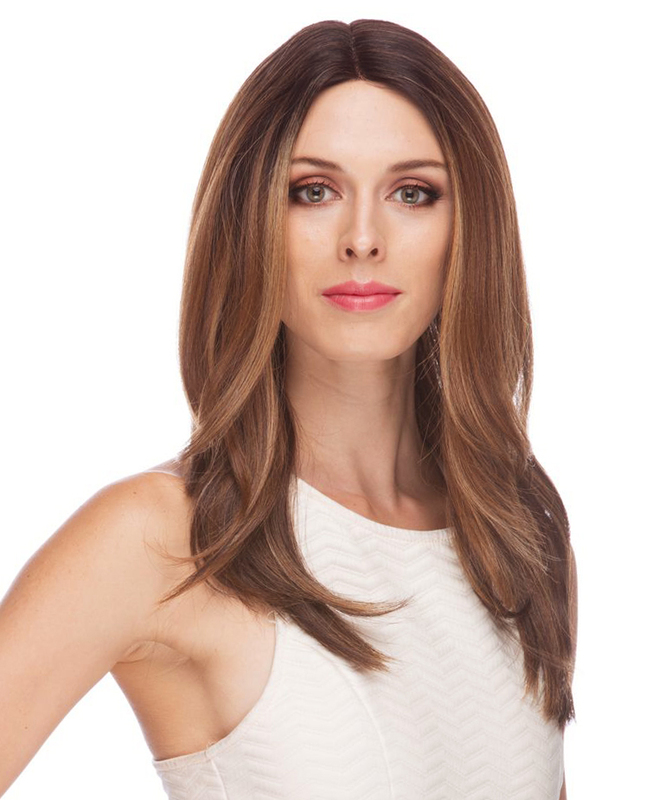 Model is wearing this wig in brand new custom blend of brown crown and ombre medium brown, auburn and strawberry blonde tips(SOM7002). 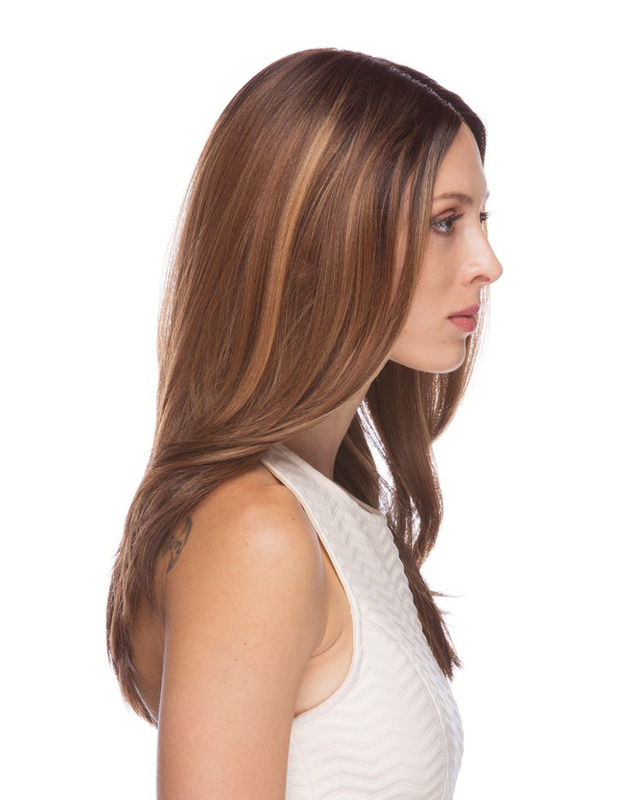 Our newest color matches best selling Peagan wig in blend of brown crown and ombre strawberry blonde and pale blonde tips(SOM7017).